Featuring a lineup of six models, the 2017 Subaru Outback is a robust crossover SUV that's ready to take on various terrains. This durable vehicle offers the two BOXER engines and the Symmetrical All-Wheel Drive. Some of the car's notable high-tech features include the STARLINK infotainment system and Harman Kardon audio system. 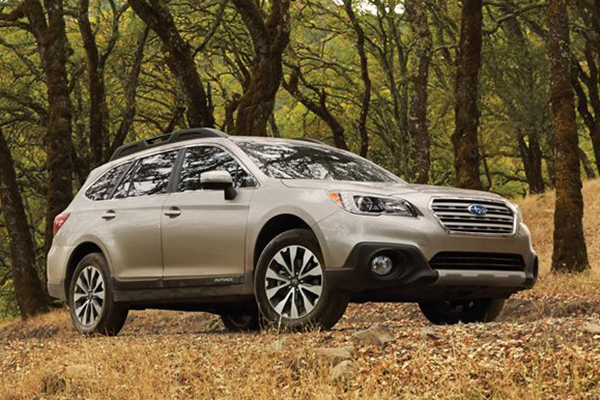 The EyeSight Driver Assist technology also makes the Outback a class leader in active safety. When browsing for a 2017 Subaru Outback near Lawerence KS, auto shoppers should seek information on the vehicle's high-tech amenities. This crossover SUV offers the STARLINK infotainment console that includes a 7-inch display with a touch-screen interface. GPS navigation with SiriusXM Traffic and Travel Link is integrated into this signature multimedia suite. 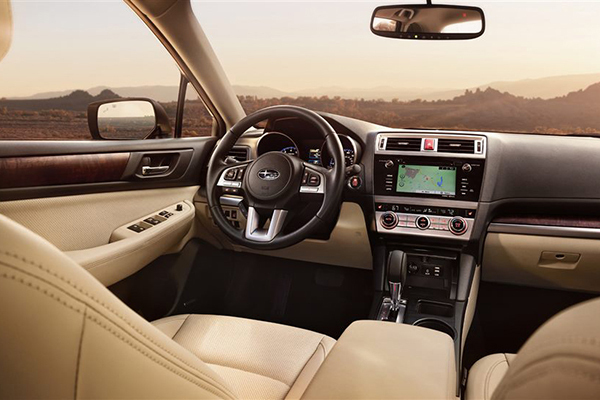 Serving Lawerence drivers, Briggs Subaru will mention that the Outback is loaded with plenty of premium entertainment features. SiriusXM Satellite Radio, Stitcher, Aha and Pandora are included in the STARLINK system. You can listen to your favorite music by turning on the Harman Kardon sound system that includes 12 total speakers. Additionally, Subaru Outback specials may be available on Siri Eyes Free and wireless Bluetooth technology. When it comes to interior comfort, the Outback has a climate control system with dual zones. A heated steering wheel surely makes winter driving more enjoyable. The All-Weather Package also adds heating for the front and rear seats that are available with genuine leather upholstery. Eight total cup holders allow all of the vehicle's occupants to bring their favorite beverages for road trips. The 2017 Subaru Outback near Lawerence KS comes with roof rails with crossbars that securely hold extra cargo. Having a silver finish, low-profile roof rails are only available on two models. Serving Lawerence drivers, Briggs Subaru can install a rear bumper cover for reliable protection in urban settings and rough landscapes. A front underguard is also useful for preventing damage from rocky surfaces. A windshield wiper de-icer highlights the all-weather design of this robust Subaru. The Steering Response Fog Lights and HID project headlights help you navigate dark roads and trails. Projector beam halogen headlights are installed in some models. The Subaru Outback comes standard with an electric power steering system that follows a rack-and-pinion mechanism. The vehicle's rear suspension system has a double-wishbone configuration that provides excellent shock absorption on rough roads. MacPherson struts provide reliable support for the front of the chassis. Serving Lawerence drivers, Briggs Subaru offers detailed information on the Outback's Brake Assist and Brake Override System. These features significantly lower the stopping distance on a wet pavement. This Subaru dealer serving Topeka to Lawerence can also explain the benefits of the front ventilated disc brakes that perform well in any weather. With a base curb weight of just above 3,500 pounds, this Subaru crossover SUV is very agile and sleek for its class. An 8.7-inch ground clearance also gives you extra confidence for navigating rugged terrains. This versatile vehicle is capable of towing a trailer that weighs a maximum of 2,700 pounds. The 2017 Subaru Outback is driven by the 2.5 L BOXER engine that's rated at 175 horsepower and 174 pound-feet of torque. This four-cylinder engine is managed by the Active Valve Control System. The 3.6 L BOXER engine produces a maximum of 256 hp and 247 lb-ft of torque. Combustion in this six-cylinder engine is controlled by the Dual Active Valve Control System. Both of these patented engines have horizontally opposed configurations for robust performance. Capable of generating a limitless number of gear sequences, the Lineartronic Continuously Variable Transmission System is standard in the Outback. This sophisticated transmission also includes the Adaptive Control technology and a manual mode with six settings that are managed by paddle shifters. Additionally, the Hill Holder and Incline Start Assist ensure a smooth transition between the park gear and drive gear. 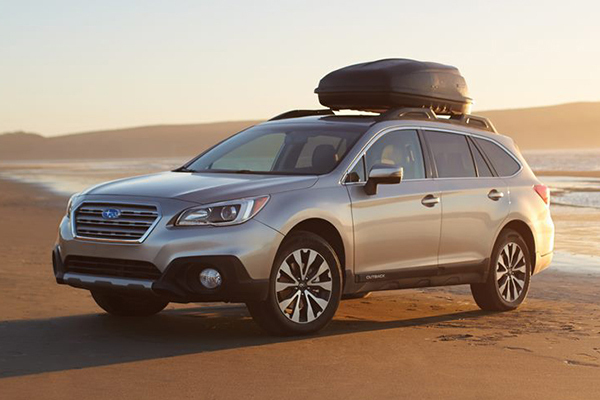 Subaru Outback specials include great deals on plenty of other high-performance features, such as the Symmetrical All-Wheel Drive. Handling is also improved by the X-MODE, which calibrates the engine and transmission system in real time. When traveling down a sloped road, this Subaru is stabilized by the Hill Descent Control. The Active Torque Vectoring enhances the vehicle's cornering capabilities. Slipping and skidding are unlikely to occur when the Vehicle Dynamics Control and Traction Control System come on. The 2017 Subaru Outback is protected by the EyeSight Driver Assist technology. When it determines that an accident is imminent, the Pre-Collision Braking takes immediate action. The Adaptive Cruise Control also lowers the risk of a front crash. A Subaru dealer serving Topeka to Lawerence will also talk about the Lane Departure and Sway Warning. This technology works in sync with the Lane Change Assist to help you smoothly merge into adjacent lane. Subaru Outback specials are also available on the Blind Spot Detection and Rear Cross Traffic Alert. These features help you avoid lateral and rear collisions. Thanks to the Reverse Automatic Braking, you'll stop just in time to avoid hitting another vehicle behind you. The High Beam Assist is another active safety technology that's installed in the Outback. This Subaru includes the STARLINK Safety and Security suite that provides prompt help for emergency situations. For example, the Automatic Collision Notification comes on after you get into an accident. Customers who want to test drive the 2017 Subaru Outback near Lawerence KS should contact Briggs Subaru. This dealership invites clients to try any of the Outback's six trims. Additionally, this Subaru dealer serving Topeka to Lawerence can install optional features, such as the All-Weather Package.